As discussed earlier on this blog, Amtrak has no interest in allowing pets to travel on trains. Even though there is a huge market potential, and many other train operators permit pets on-board. H.R. 2066, the Pets on Trains Act of 2013, introduced by U.S. Reps. Jeff Denham, (R-CA) and Steve Cohen, (D-TN), would require Amtrak, the national rail operator, to implement a pet policy to allow passengers to travel with domesticated cats and dogs on certain trains. Under the legislation, Amtrak would be required to develop a policy for people to travel with their pets, and to designate, where feasible, at least one car of each passenger train in which a ticketed passenger may transport a dog or cat. In related news, the Amtrak Board extended Joseph Boardman’s contract by another two years. Given his $350,000 annual salary, he is way overpaid if you ask me. The infrastructure in the US is falling apart, and there is no money to build high-speed rail. By comparison, the airlines have more money than they know what to do with. Case in point: SFO, which will spend another $4 billion on renovations. San Francisco International Airport’s leaders announced Monday they plan to borrow more than $4 billion to pay for a 10-year building and renovation plan that includes a proposed 400-room hotel. Airport Director John Martin said the idea is to create a “world-class” experience in two domestic terminals as well as carry out “improvements” on the just over 10-year-old international terminal. He estimated the cost at $4.1 billion. The spending is intended to bring the rest of the airport in line with the $383 million makeover of Terminal 2 which opened in April 2011. That terminal features California-living touches such as a yoga room, a wine bar and a restaurant that uses only local, organic ingredients. One reason why SFO has $4 billion available to “loan” is because airline passengers only pay a portion of the cost for maintaining the aviation system. 70% of the FAA budget comes from ticket fees. And the TSA’s $7.6 billion budget for airport security gets just $2.5 billion from user fees. The FAA also received special exemption from mandatory sequestration cuts. 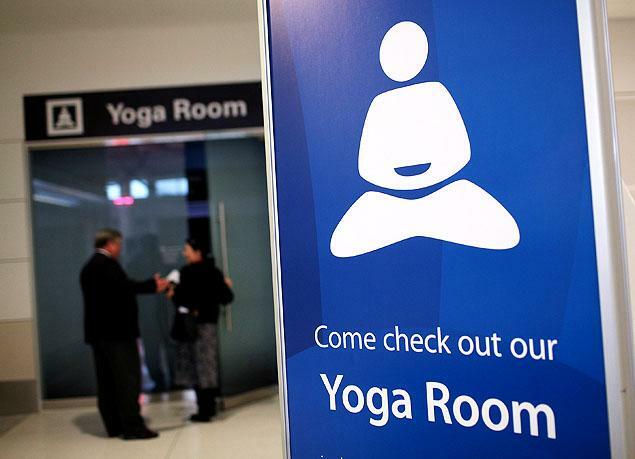 It really says a lot about this country’s spending priorities when health and education programs get cut, but airport travelers have yoga rooms. What NJ Transit did to prepare for Sandy remains largely secret. The agency that operates bus and light-rail and commuter rail services declined to release its strategy when requested under New Jersey’s Open Public Records Act. 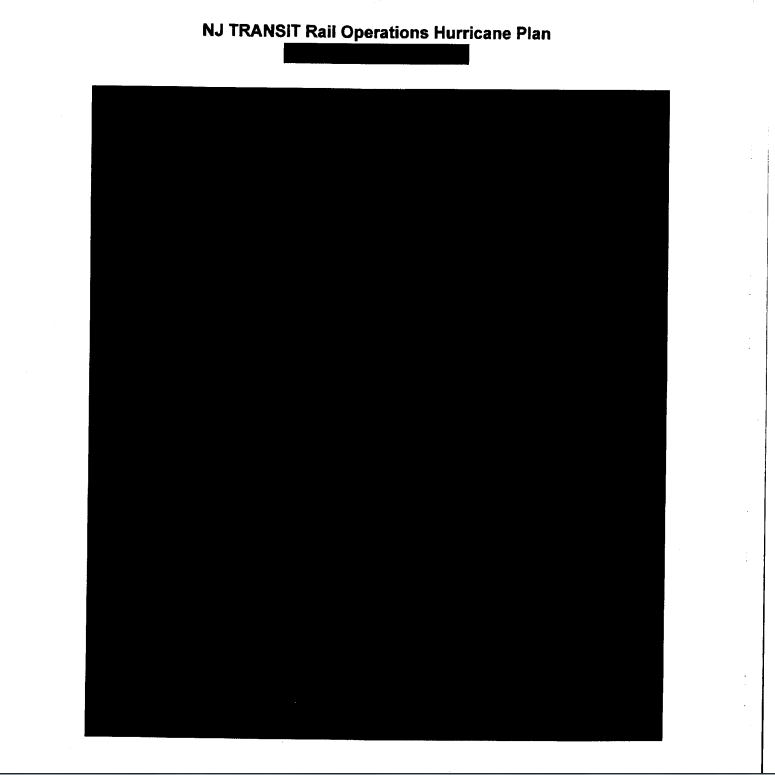 When asked for communications regarding Sandy preparations, NJ Transit released a 3½-page “Rail Operations Hurricane Plan” that was stripped of all information except for the title. Agency spokesman John Durso Jr. said that detailing the agency’s storm preparation plans would create a security risk. “Recent events including the uncovering of an al-Qaida-led ­terrorist plot targeting rail service reinforces why NJ Transit will not disclose sensitive information that could potentially undermine the security of our transit infrastructure, our customers or our employees,” Durso wrote in an email last week. Apparently, NJT would have us believe that al-Qaida can control the weather. Why Does .05 BAC Make A Difference? The United States, Canada and Iraq are among a small handful of countries that have set the BAC level at .08. Most countries in Europe, including Russia, most of South America and Australia, have set BAC levels at .05 to constitute drunken driving. When Australia dropped its BAC level from .08 to .05, provinces reported a 5-18 percent drop in traffic fatalities. 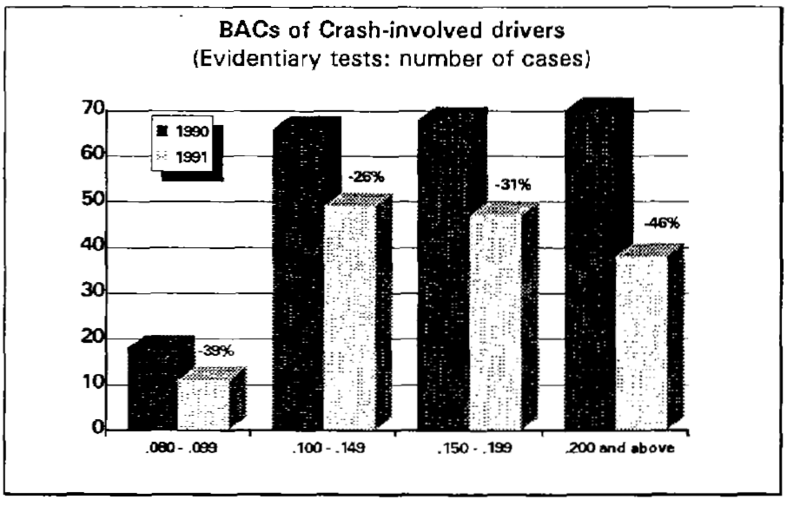 It should be noted that the law did not change at all for drivers with BAC .08 and higher. It was only for .05-.o8 levels that the law changed. 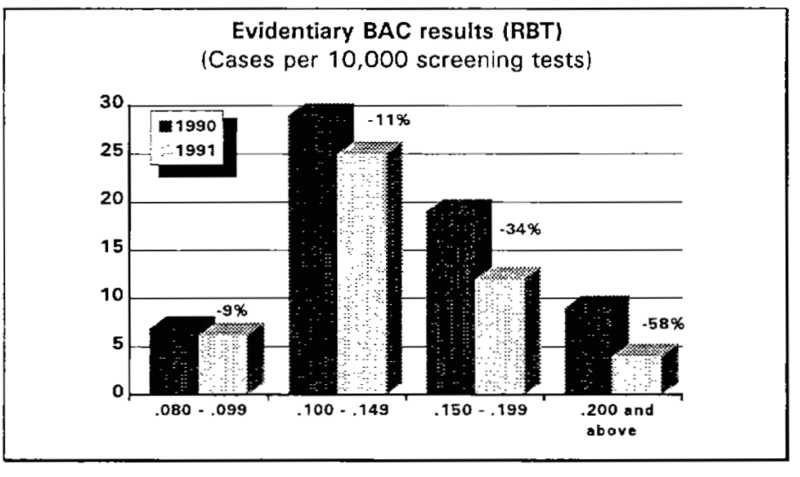 The rationale from the NTSB is that there are biological reasons for reducing the BAC level to .05, but it is possible there are other factors that explain the reduction in fatalities. Amtrak, the heavily subsidized rail operator, will carry your firearm, but is not eager to carry your bicycle. Nor will they carry your dog or cat. Amtrak won’t permit any pets on-board at all, except for guide dogs. The only options for pet owners are driving, flying, or pet boarding. In the case of flying, pet owners are understandably skittish about sending fido through the airport luggage system, or in the cargo hold. So this is one market where Amtrak could be hugely competitive against the airlines — if only Amtrak management weren’t so sclerotic. 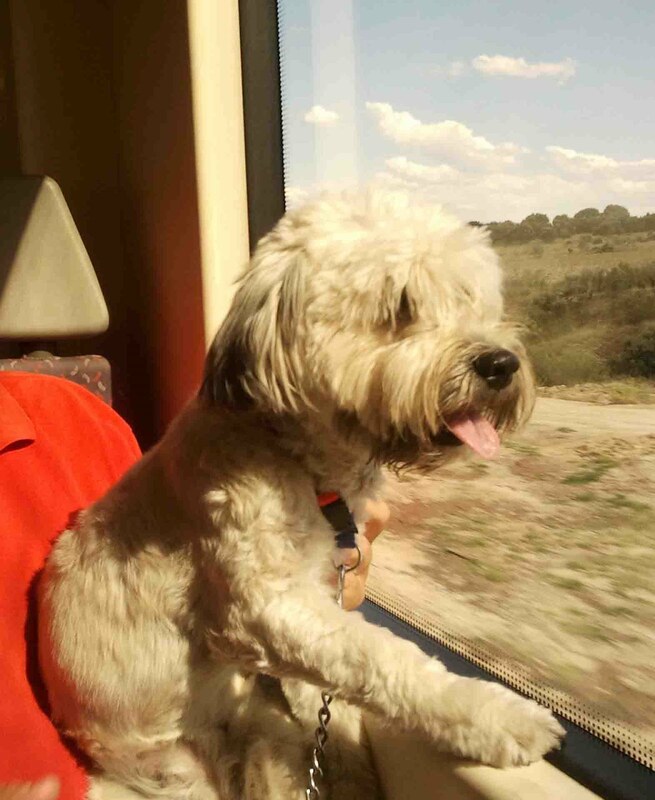 By comparison, SNCF in France has pet accommodation, as does Renfe in Spain. Even Via rail in Canada allows pets to travel aboard the luggage car. 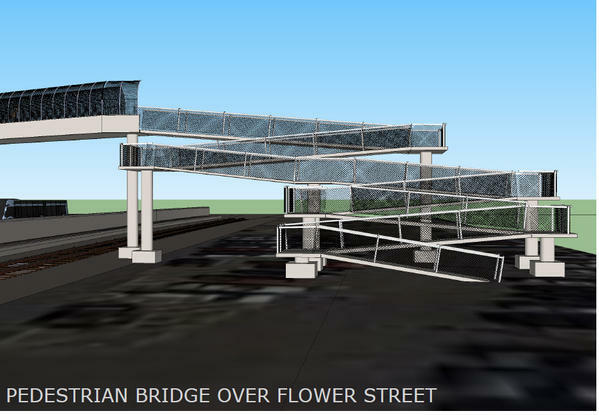 In an abrupt reversal, the city has dropped all opposition to closing Flower Street to accommodate the New-Britain-to-Hartford busway. Mayor Pedro Segarra’s decision came after weeks of behind-the-scenes negotiations between city officials and aides to Gov. Dannel P. Malloy, who is committed to drive the busway to completion by early 2015. The decision cuts off what shaped up to be a struggle over the future of Flower Street, a short north-south street that links the city’s Frog Hollow and Asylum Hill neighborhoods. Neighborhood groups were counting on the city to block the state transportation department from shutting off pedestrian and bike access, and appeared angered after the city pulled out of the fight. A state hearing officer this month will decide whether the Department of Transportation may permanently keep bicyclists and pedestrians from crossing Flower Street between Farmington and Capitol avenues. The DOT says it will be too dangerous for anyone to cross two lanes of busway traffic alongside the Amtrak line, and instead has built a pathway to detour Flower Street riders and walkers to Broad Street.